Libraries. Ah, libraries . . . They make me sigh with sweet satisfaction, feel comfort and warmth as from an old pair of mittens or a nourishing, savory soup. These feelings are not new. Some of my fondest memories are of my mother taking my older brother and me to the local library, not just near our home in the suburbs, but to the main library in the heart of the city, too. Often. We would spend hours there, then carry books home and lose ourselves in their pages, full of fascination and wonder. When we went on trips during the summer, often tagging along with my father as he traveled for his job, she’d even take us to the library in the towns we spent time in! The local library was always on our “places of interest” list, worthy of a visit. As long as I can remember, libraries have been for me places to learn, to heal as well as to grow, to find reasons to hope and ways to expand my dreams. They are packed full of questions and answers and bursting with surprises. To say that I value libraries is an understatement! For me, they’re a mind-altering addiction! And one I’ll never, ever give up! 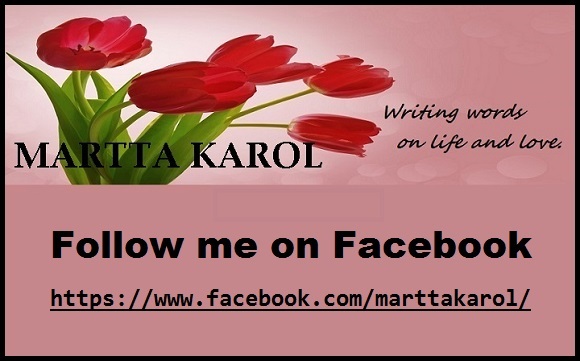 This entry was posted in Events, Joy of Reading and tagged books, libraries, library lovers month, reading by Martta Karol. Bookmark the permalink.